Can you imagine a world without salsa? Or tabasco sauce, harissa, sriracha, paprika or chili powder? I read that statement in a feature article from Saudi Aramco World magazine, which arrived in our mailbox this morning. Then I paused for a second, and thought about it – Do I really love hot and spicy foods? 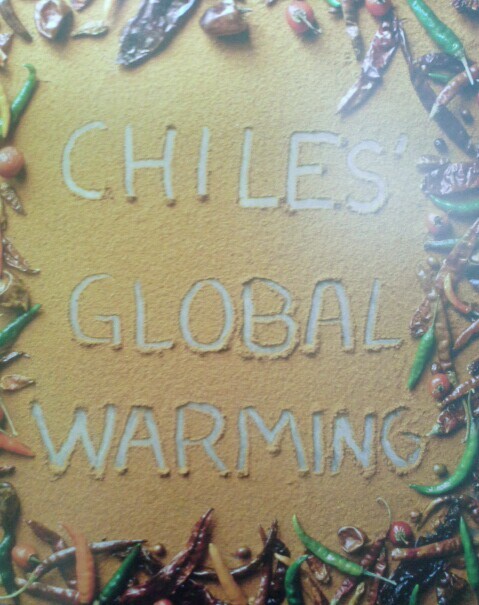 What would it be like to have no chilis to spice-up our taste buds? I know some friends who really are against anything spicy, no matter how you bribe them with lots of wonderful gifts. They have never dared to, or yet they swear for their entire life not to dare. Who could have known that when Magellan was looking for the Spice Island, which led to the discovery of Philippines, chili peppers were one of those spices that captured the taste of King Philip of Spain. 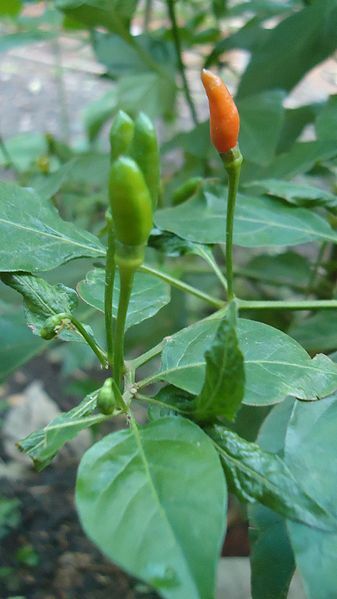 The photo below is the type of chili that you can see in almost every backyard of Filipino houses. It is widely known in the country as ‘Siling labuyo’ or wild pepper. The fruits are very pungent, and the colors determine the level of its heat, with deep-red as the hottest. 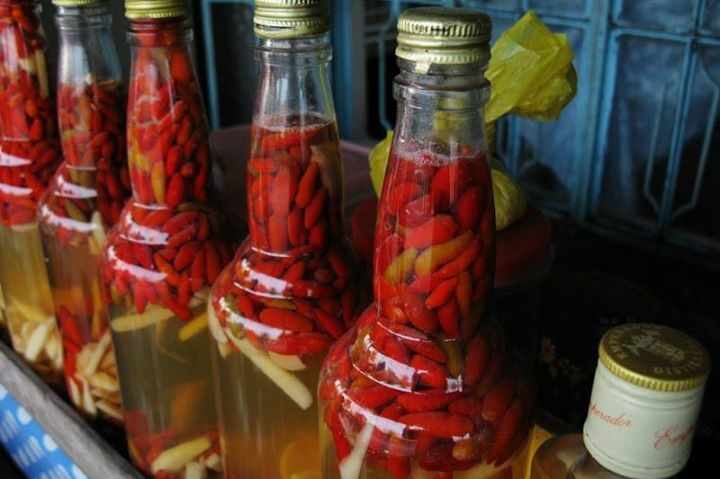 The siling labuyo is popularly used to flavor vinegar from organic coconut fragmented sap also known as “tuba”. The longer the storage time, the spicier the vinegar will become. When serve with grilled and fried foods, you can enjoy them more with this spiced vinegar. This is the Filipino way of spicing up a boring meal. Personally, chili peppers as sauces or condiments I can manage. I feel like I am in control to the level of hotness and spiciness, and whenever I put too much of it on my food, I don’t have any excuse to not consume my share. Living here in the Middle East gives me the opportunity to explore variety of spicy cuisines from different countries, most especially Indian, Pakistan, and Arab dishes.Besides, with its long lists of nutritional benefits, who would not like it? Spicing-up your food is like putting a ring of fire on your path – that is spicing-up your journey to life. Have you had a chance to taste this Philippine spiced vinegar? 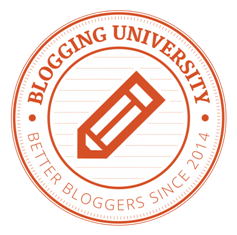 Share your experience in the comments box, I would love to hear them.